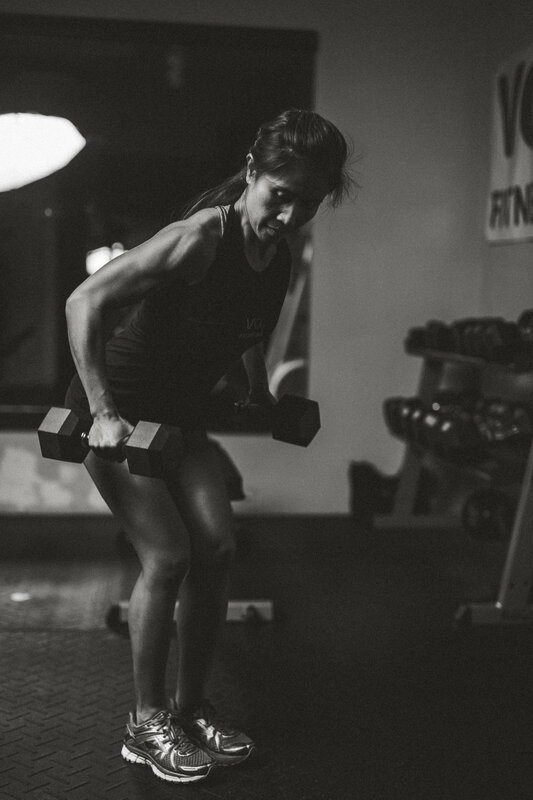 Cardio-Kickboxing with Sally: The cornerstone of classes at VO2 Fitness, Sally’s “hour of power” utilizes the heavy bags and incorporates kicking, punching, and high intensity cardio moves to provide a fast tempo, high intensity workout. Set to an energizing playlist, you are bound to kickbox your way to complete fitness. Public classes are held Mondays & Wednesdays at 6pm, Thursday’s and Sunday’s at 12:30pm, and Tuesday and Friday mornings at 9am. BOXFIT with Michelle and Jay: Pressed for time but still want a challenging workout? Join us for BOXFIT - a high energy 30-minute class that spotlights boxing fundamentals, step work, and body weight resistance moves to give you the strength of a fighter without ever having to step in the ring. Watch the video for a sneak peek of FLEX! FLEX with Rebekah: FLEX is all about strength training, cardio, and functional fitness. Utilize free weights and a customizable barbell system in this challenging, yet approachable, one hour circuit class. Created for novices and experienced lifters alike, Rebekah will lead you through a circuit workout while keeping a smile on your face! 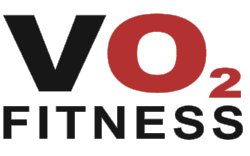 FLEX at VO2 Fitness to build strength, cardio development, and visible muscle tone! INSANITY with Rebekah: INSANITY is a revolutionary cardio-based total body conditioning program based on the principles of MAX Interval Training. By using MAX Interval Training, INSANITY pushes the participant to new training heights, resulting in more calories burned, faster results, and a more efficient metabolism. INSANITY is for ALL fitness levels - from beginners to advanced. Rebekah provides modified moves for those new to the workout, and she provides power moves for those looking to move to a higher level. Classes are held Sunday and Thursday evenings at 6pm. Body Sculpt with Jay: Body Sculpt is a 45 minute class that helps you improve technique and form in your workouts. Each class will focus on three or four key fitness moves and their form and function. Don't just workout hard - workout smart. All fitness levels are welcome at this class! 10th Planet Jiu-Jitsu with Jon: Open to all skill and fitness levels, this 90-minute Jiu-Jitsu class follows Eddie Bravo's unique 10th Planet Jiu-Jitsu system. Learn basic and advanced techniques for take-downs, submissions, sweeps and self-defense. See our schedule for class times or visit the 10th Planet Newark page to get additional information. Personal Training: Whether you are interested in weight loss, sports performance, or strength and conditioning, our personal trainers will specially develop a training plan to meet your personal goals. Sessions are available in 30 or 60 minute formats. See the program specific training page for trainer bios, specialties, and contact information. Sessions held by appointment only.